Ocean Marine Services have the added benefit of a new, modern and well equipped boatshed located within Chichester Marina's main boat yard. The shed is capable of housing boats of up to 50ft in size and for any larger vessels we erect a weatherproof, wrapped scaffold system in the yard outside. Alternatively we have access to larger boatsheds at Endeavour Quay, Portsmouth. The team at Ocean Marine Services are skilled and qualified to a level that allows us to tackle all tasks needed for refits and repairs, regardless of size. Within our team we have traditionally trained Shipwrights so any woodwork requirements can be undertaken with ease. We also house an Awlgrip approved technical paint team and Gelcoat/GRP specialists so any surface finishing tasks can be handled professionally and executed to the highest standards. 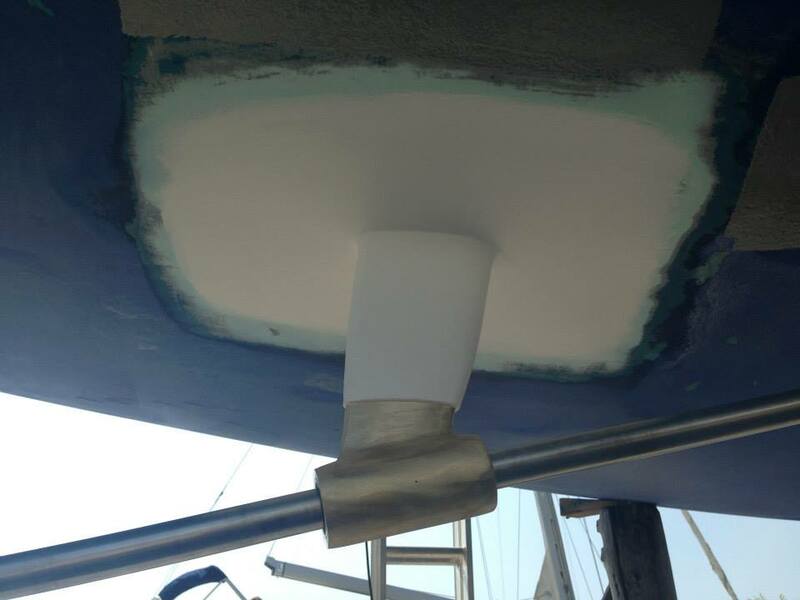 The team are not adverse to bespoke arrangements and adjustments to classic and modern vessels alike and are capable of maintaining the quality of a manufacturers finish and sometimes improving on it. Our past projects have involved complete refit works on large vessels where the quality of the final result is considered from the first phase of the strip down all the way through to the final product. We have also completed internal refits which involve complex joinery and soft furnishing work. Another aspect we are able to provide from the shed are GRP repairs and gelcoat matches. This also works hand in hand with our ability to undertake osmosis treatments in house.